Corrosion-resistant surface treatments are essential to extending the life of metal machinery and equipment in environments where corrosion is a constant threat, be it from extreme temperatures, moisture, chemicals or salt spray. Effectively treating metal surfaces in this way gives them far greater protection against the weather and other dangers. 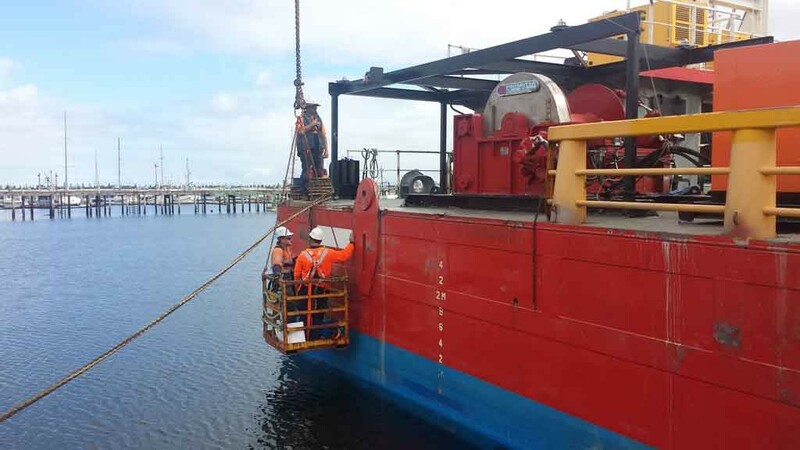 At Australian Enviroblast (AEB), we specialise in the application of industrial coatings that protect treated surfaces, components and equipment from the effects of corrosion and other forms of degradation, and we are able to use and apply a wide variety of coatings to meet your needs and the demands of the work environment. 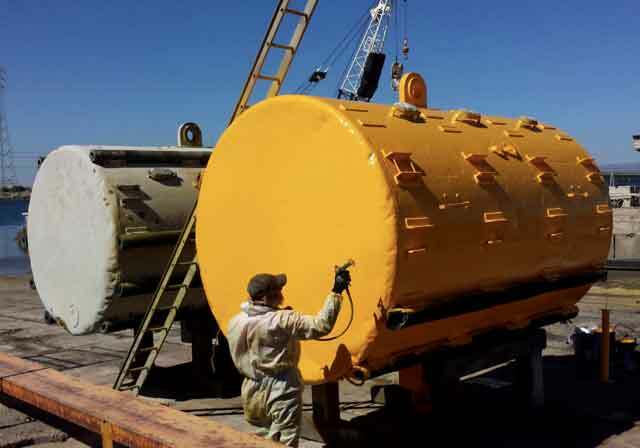 Industrial coatings improve both the appearance and longevity of equipment and machinery in harsh environments, and in conjunction with our wet abrasive blasting services, provide comprehensive protection against corrosion, abrasion and the impact of chemicals and weather for all types of structures and materials, particularly steel structures, components and machines. Wet abrasive blasting with the Quill Falcon Kwikblast Dustless Blasting System means that surfaces are prepared and profiled so that newly-applied paint and protective coatings can be at their most effective, adhering better for longer. 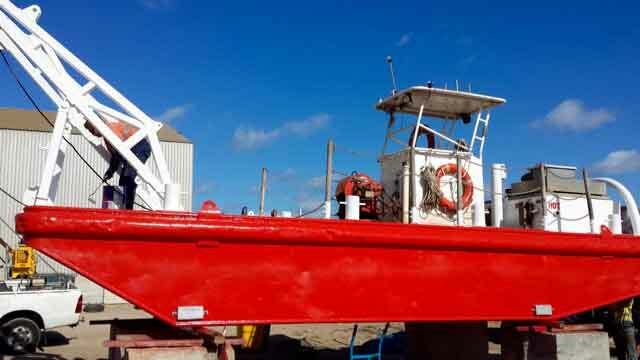 Any coating will ultimately fail if the surface is not properly treated and prepared, and so wet abrasive blasting makes sure that coatings stay in place and offer protection for valuable plant and machinery. We are able to offer an onsite spray painting service for mining machinery and equipment to complement our dustless wet blasting surface cleaning and preparation. In the process of powder coating, paint is applied as a dry powder, made from a mixture of finely-ground pigments of colour and resin, which is then heated and so creates a coating on the surface. Powder coating creates a hard and tough finish that is stronger than conventional paints, produces less waste, and allows for a range of finishes to be created and colour schemes to be used. Wet abrasive blasting is the most effective way of removing layers of powder coating. This is because conventional dry blasting melts the powder coating to remove it; however, wet blasting also washes the surface at the same time as removing the coating, meaning it is removed more quickly and more effectively. © 2019 Australian Enviroblast Pty Ltd. All rights reserved.